My number one most important item for any rehearsal period is a water bottle. Essential to keep hydrated and healthy, to have a bottle of H20 with you is absolutely imperative. But buying bottle after bottle of Evian is both pricey and not so hot for the environment. So, for your slurping pleasure, here at Actor’s Pro Expo we’ve put together a handy list of the best reusable bottles around! 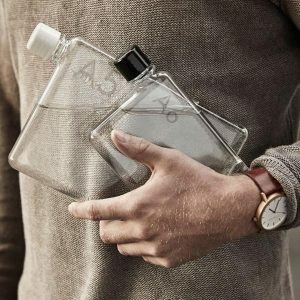 Availble in two different sizes, this bottle is perfect for those who want to save a bit of space. The ingenious flat models are designed to slip into your bag or pocket just like a laptop or a notebook, but still holds as much as a regular round bottle. 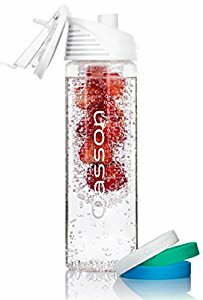 If you’d like a fruity twist to your standard sip of water, this is the bottle for you! Just pop the fruit of your choice into the infuser and within a couple of minutes you’ll have your very own naturally flavoured water! I’m a real fan of fresh mint leaves in mine. 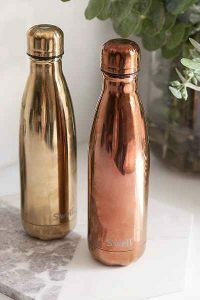 This sleek, stainless steel bottle is great for the style conscious. It looks fabulous, comes in a range of prints and finishes and keeps your water cold for 24 hours. 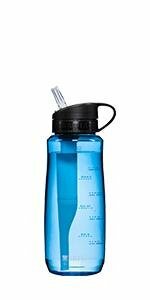 For a cleaner taste to your tap water, try the Brita Filter Bottle. The filter sits neatly inside and reduces the risk of chlorine and particles making their way into your body. Also comes with a straw and a handy carry handle! We all know we should drink a lot more water, but it’s easy to forget in our fast-moving, busy lives. 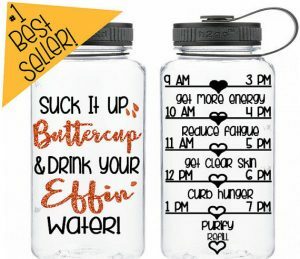 Luckily, this water bottle comes with motivational messages to help remind you to drink more, and the benefits of doing so! Plus it comes with glitter accents in the color of your choice, what’s not to love? !